Take a quick trip to any gym in the country, and you’ll notice that, in almost every cardio room, the vast majority of people grinding away are women. Because when it comes to weight loss, most women have been sold on the idea that, if you want to burn fat, you need to spend hours and hours slaving away on the treadmill. If you’ve spent any time reading popular women’s magazines, you’d be forgiven for thinking that fat loss is a complicated endeavour. You’d also be forgiven for being incredibly confused as to how you should go about doing it- low carb, low fat, high carb, high fat, no gluten, no dairy…the list goes on and on. In reality, losing weight is actually quite simple. Because at the end of the day, when it comes to fat loss, 90% of your results will boil down to calories. How many calories are you eating per day? And is that number less than the calories required to maintain your current weight? This is what’s referred to as a “caloric deficit”, and it’s the thing that will make or break your weight loss efforts. So, with that said, there are two ways you can go about creating a caloric deficit. You can either a.) eat less food (thus taking in less calories) b.) expend more energy to burn those calories off (i.e. exercise), or c.) both. And unfortunately, most women tend to go with the second option. They focus 90% of their efforts on exercise, while completely neglecting the amount of food they’re eating. The problem isn’t that you can’t lose weight by doing this- the problem is that, in all likelihood, you probably won’t. And the reason that you probably won’t is because, if you’re like most people (male or female), you seriously underestimate the amount of calories that go in your mouth each day. Consider that an average woman needs a little less that 2000 calories per day just to maintain her weight. Now consider that half an hour on the treadmill only burns a few hundred calories (at best), and that a single donut can have up to 400 calories, and you can see where the problem lies. 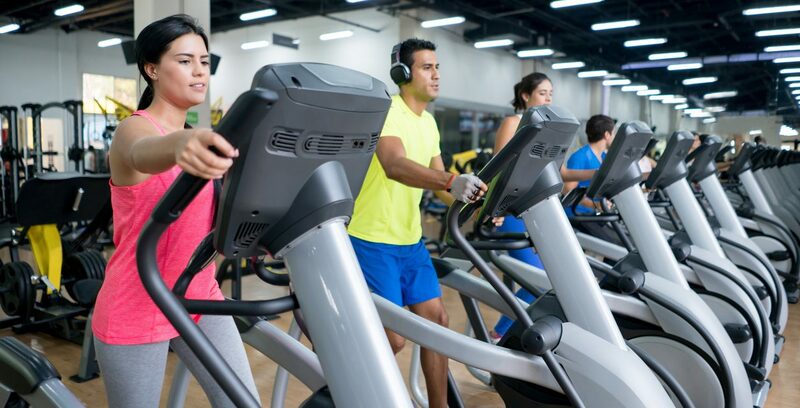 So, having said all this, does that mean you should abandon cardio altogether? Absolutely NOT. A proper cardio routine means that you don’t need to cut quite as many calories out of your diet. It also provides a number of health benefits, including greater cardiovascular health, improved mood, and better sleep. You don’t need to cut out cardio. You just need to make sure that you pay attention to your diet first and foremost, and then add the cardio in strategically. Here’s a good way to structure things if you’re confused. First, figure out how many calories you need per day to maintain your current weight. For the average woman, it’s slightly less than 2000 (a lot of this will depend on your size, so you may need to play with it and track your food intake for a week or two to find your maintenance). Once you have that number, try cutting out around 300-400 per day. For most women, that will be enough to get a decent calorie deficit going, but not so much that you’ll be losing your mind and dreaming about pizza all day. From there, you can add in cardio to really ramp things up and make that deficit substantial. By doing this, you get the best of both worlds- you’ll have enough “free” calories in your diet to enjoy your food (in moderation), without having to grind yourself into the ground on a treadmill for hours every day. 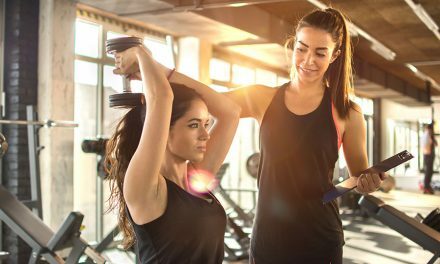 While most women seriously overdo the cardio and would benefit from a “less is more” approach, there are some women who actually would benefit from ramping their cardio up. If you’re already quite lean and only have a few more kilograms to lose, and you’ve been in a calorie deficit for while and you’re “stuck”, you would definitely fall into this category. Cutting calories beyond a certain point just becomes a nasty experience (it can also cause metabolic issues if you take it too far). Adding in a few more cardio sessions per week could be just what you need to get the scale moving again. The other type of women who would really benefit from doing more cardio are women who are naturally small statured. If that’s you, you probably don’t need to be told that your maintenance calories are low enough already that the prospect of cutting even more calories is horrifying. For these woman, a daily cardio session could mean the difference between having an enjoyable meal every day and hating life. Cardio is a useful, valuable tool, and you absolutely should include it in your fitness arsenal. Make sure you’re using it properly and not neglecting your diet, and watch your fat loss take off.